Want to be way ahead of the curve? You need our camel coat. Yep, it may have been her spring/summer 2017 New York Fashion Week show, but among Rebecca Minkoff’s pretty printed chiffon blouses and dresses, a chic camel coat made an appearance on the catwalk. Handy then, that we included the wardrobe classic in our debut collection a whole six month’s ahead. Buy now, wear forever. As we start to pack away our summer dresses (sob) we’ll be relying on culottes to take us through the new season. Chic enough for work and on-trend enough for weekends, culottes show a flash of ankle and killer shoes when it’s still warm, but look equally good with a pair of boots. We’d call that a win-win situation. Hot New York Fashion Week label Altuzarra sent models down the catwalk clad in statement snake print shirts tucked into slinky pencil skirts. Forget waiting till next season though. You can channel the look right now – and score mega style points – with our silky teal snake print shirt. Undo the buttons for a sexier feel, and tuck it into our leather pencil skirt for a glossy autumn combo. Despite it being boiling hot in the Big Apple, the street stylers couldn’t wait to show off their new season boots. Knee-highs are big news for autumn, and our cognac suede pair couldn’t be more luxe. A transitional wardrobe hero that solve the ‘not cold enough for tights’ dilemma, they’ll see you right through to spring. 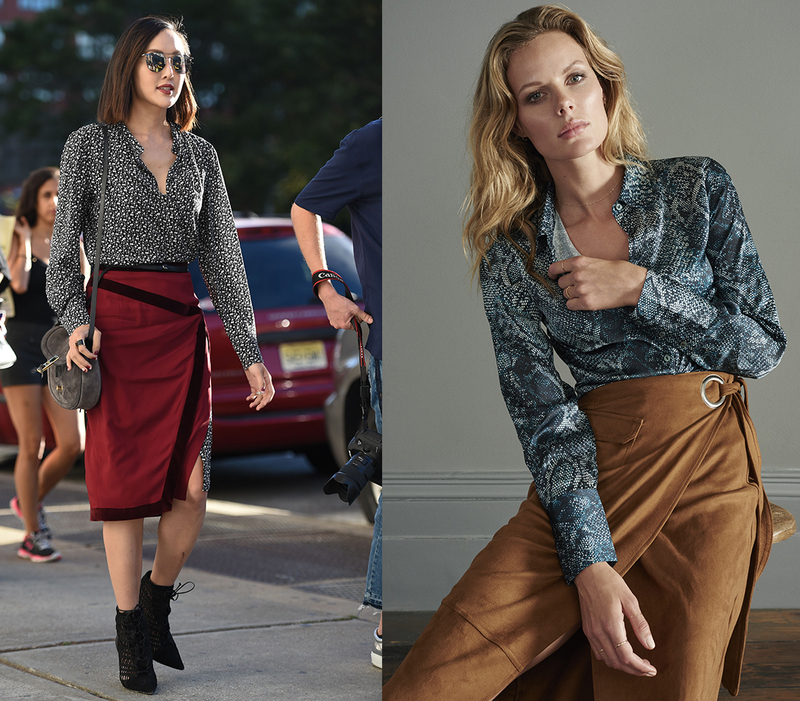 If you haven’t added a wrap to your skirt roster, now’s the time. 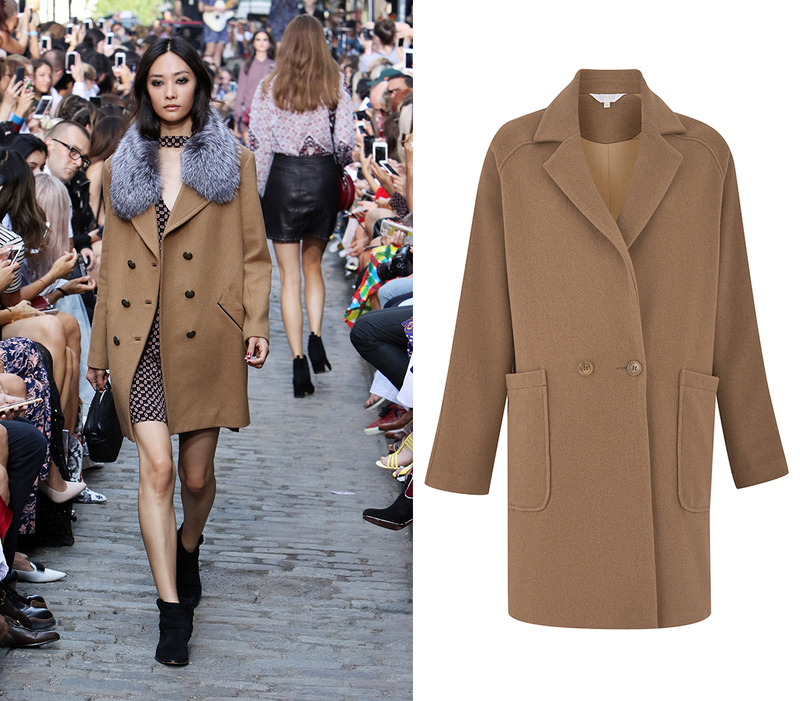 Flattering, chic and fashion- forward, ours comes in super-soft faux tan suede with a statement metal ring side tie. Wear with ankle boots and bare legs while you can, then switch to our snakeskin knee-highs later. Looks like you’ll be wearing our blue velvet dress right through to next summer. 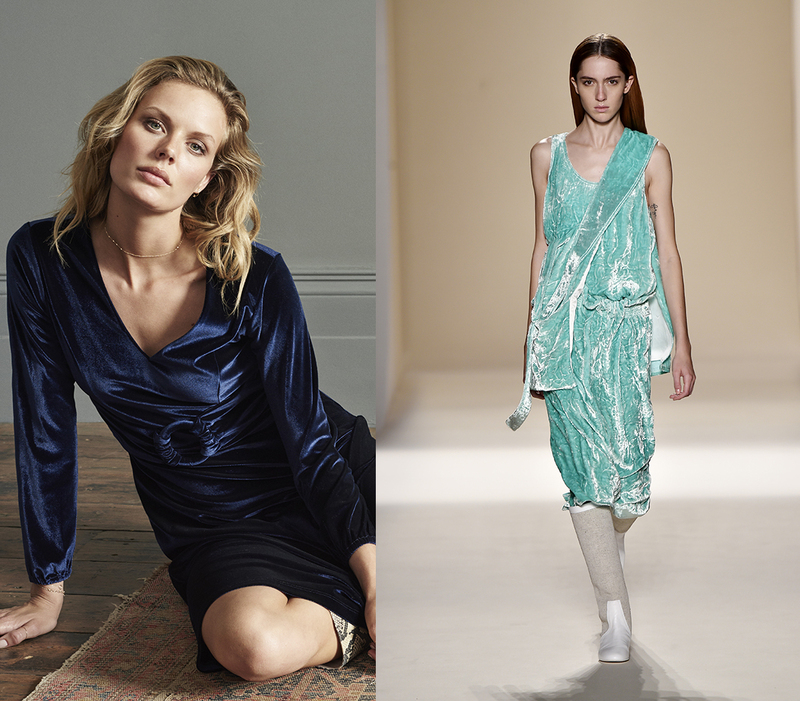 The autumn hero fabric made an appearance on VB’s spring/summer 2017 catwalk in the form of glossy frocks. Our 70s inspired version isn’t just for evening – layer over our fine knit polo neck and add ankle boots to make it daytime friendly.